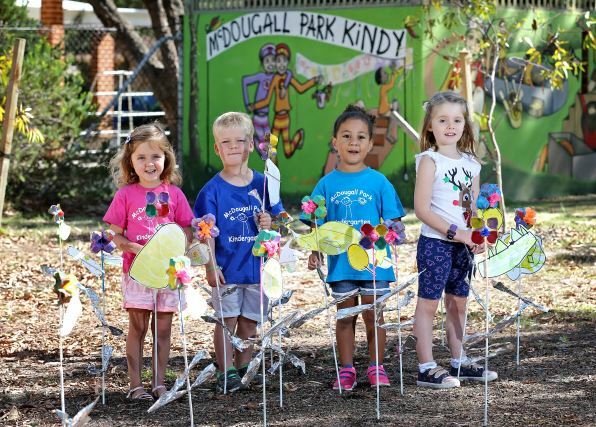 MCDOUGALL Park Community Kindergarten students are working hard creating a field of flowers and pinwheels with recycled materials in South Perth. The recently renovated Como school will open its doors for their free From Little Things, Big Things Grow event on Saturday, April 13 at 10am. Parent management committee secretary Keita Burrell said there would be activities for the community to contribute to the featured artworks, including a public mural. Committee president Rebecca Brockman said the theme symbolised the kindy students working together. “It is something little, but together we can make something big,” she said.